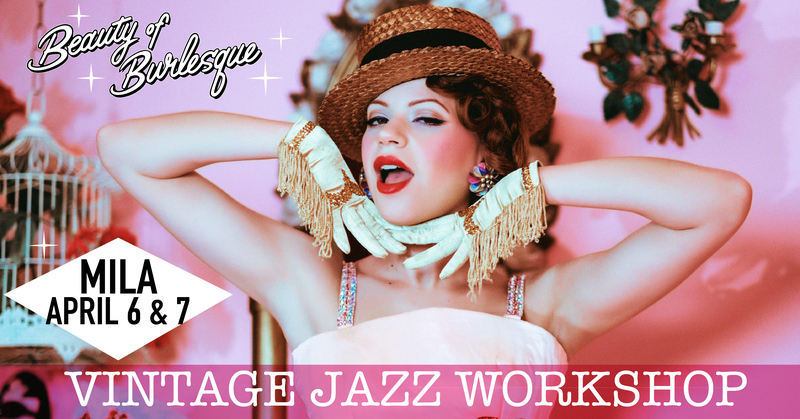 Release your inner Josephine Baker and learn authentic vintage jazz from the roaring 20s with Beauty of Burlesque instructor, MILA!!! In this fun class Mila will take you back in time introducing you to the most famous steps that were all the rage during the 1920s, 1930s & 1940s! This mini intensive will focus on different exercises of rhythm & styling that will get you high kicking like a vaudeville starlet. This intensive is perfect for anyone who wants to add new moves to their vocabulary and learn about jazz dance and its rich history. Suitable for all levels and gender. Absolute beginners are very welcome!